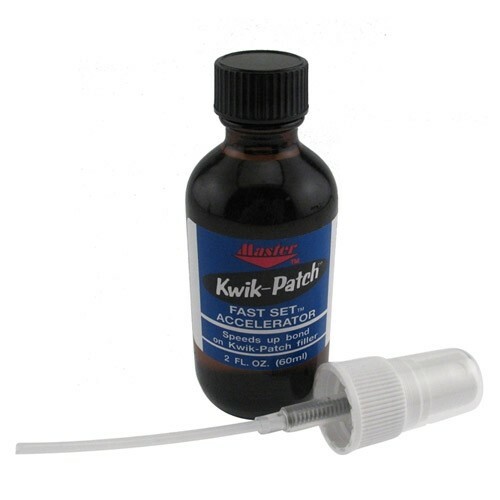 After dispensing Master Kwik-Patch Clear Filler to the damaged area of the ball, spray with Accelerator. Almost instantly the ball is repaired and ready for usual finishing and polishing. Miracle formula for fast, easy ball repairs; sets up instantly. Due to the time it takes to produce the Master Kwik Patch Accelerator ball it will ship in immediately. We cannot ship this ball outside the United States.